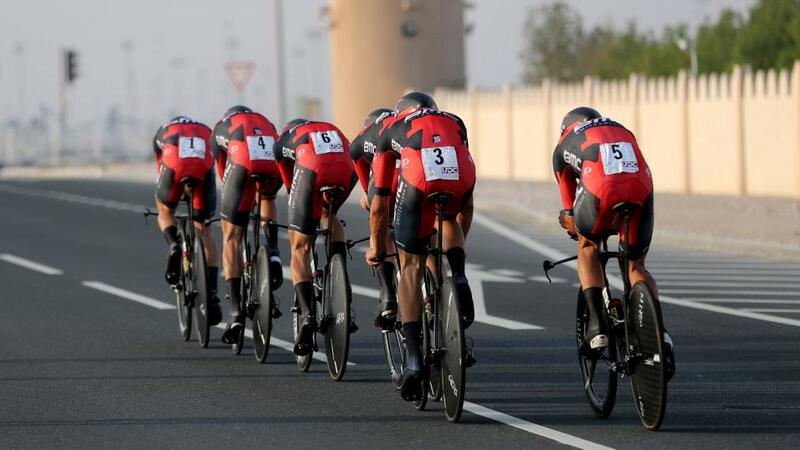 "BMC will be hopeful of repeating their 2015 Tour win over Team Sky in the Team Time Trial, where they had one second in hand at the finish in Plumelec..."
A nervy day, where many of the Yellow Jersey contenders will lose time in the technical test of the Team Time Trial, to the delight of fans of alliteration. The organisers have modelled the stage on that used in the 2008 Tour for the Individual Time Trial, the result being a challenging examination including short, steep climbs, tricky descents, and sharp turns. In 2008, the top ten individual riders were separated by nearly a minute, and given the added complexity of riding as a unit, it will be no surprise to see wider time gaps between teams here. Team Time Trials are not regular features in high-profile races, but on the rare occasions they have made an appearance in recent years, it has been BMC ([3.00]) and Team Sky ([1.72]) who have tended to dominate. Seen as the most technologically-minded teams on the pro-circuit (having the largest budgets help), this perhaps isn't surprising. BMC have had a good 2018 in the discipline, winning at Tirreno-Adriatico and Volta a la Comunitat Valenciana and, more recently, beating Sunweb by over 20 seconds in the Tour de Suisse. That was shorter than they'll face on Stage 3, though. Still, they'll be hopeful of repeating their 2015 Tour win over Team Sky in the discipline, where they had one second in hand at the finish in Plumelec. For their part, Team Sky were imperious at the Dauphine in the Team Time Trial, beating their rivals by 38 seconds. That was a much flatter and less-demanding course, though. And, of course, Chris Froome was not in the line-up that day. Nonetheless, except for Richie Porte, who benefits from being part of BMC, Froome will have identified Stage 3 as an opportunity to take significant time out of his rivals, and it's entirely likely that Geraint Thomas will be in the Yellow Jersey by the end of the day. That will make three riders in as many days, more than half way to the needed 5.5 recommended in our previews. Team Sky are probably the rightful favourites and the most likely winners, but at the odds, BMC are the value call, and a chance to build on our winnings from yesterday. Sunweb ([8.00]) won the Team Time Trial at the World Championships in Norway last September, but a lack of preparation for this year's Tour is a worry: Tom Dumoulin comes here as an afterthought on the back of Froome-inflicted disappointment in the Giro (as we previewed back in May) and it's uncertain if they will be ready for this. For a challenge that will reward groundwork, Sunweb look like a team to be avoided on this technical test. Froome, Porte and Thomas should all shorten in the Winner market; if going to plan, Froome and Porte should regain parity with most of their rivals after their time losses of Stage 1. Other General Classification hopefuls will lose hope as they haemorrhage more time. The ramifications of this will reshape upcoming stages, with those riders changing their objectives and riding more aggressively as they seek compensation. Expect to see team priorities shuffled, greater interest in the Mountains Classification, and high-profile riders seeking individual stage wins when the race reaches the mountains.